At the very beginning of his ministry on earth, Jesus said, “The time has come.” He had arrived. 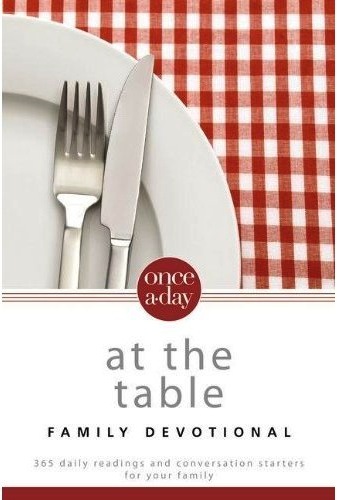 The world as people knew it was about to be changed forever. And people would need to take action. People would need to repent and believe the Good News. But there’s more to believing than lip service, isn’t there? 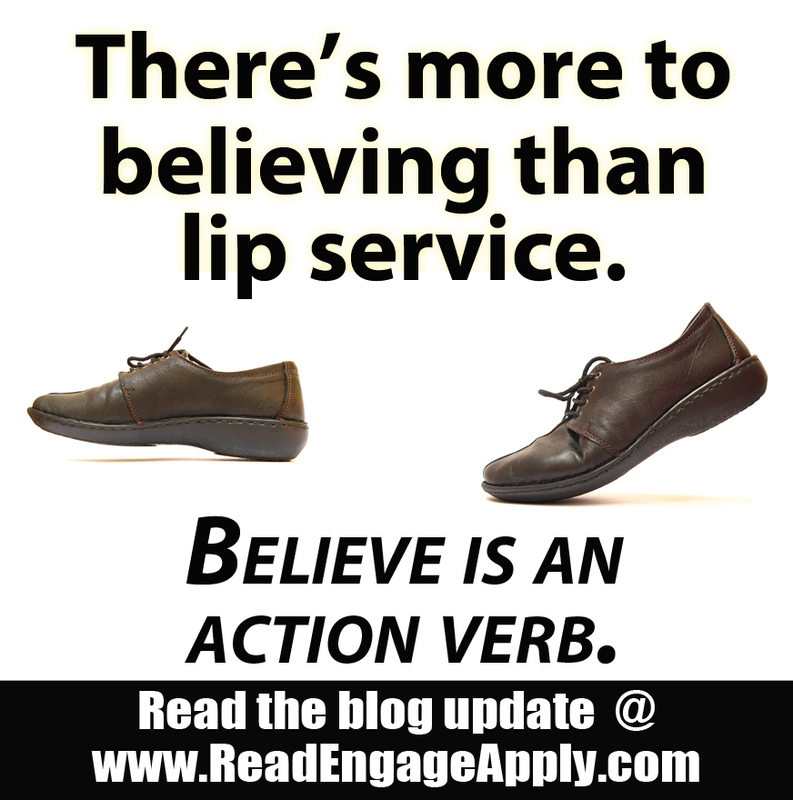 Believe is an action verb. Belief in Jesus has to affect the way that we live or it’s not sincere. Jesus asks us to repent and to believe in the gospel. This means that we need to accept him as Savior and give our lives to him. It means we have to submit to his will for our lives. It means we have to follow his lead at all costs. Worshiping Jesus should affect every aspect of our lives in every possible way. None of this is easy. None of this is simple. But when we do it, our whole life changes for the better. We become healthier, happier people, who make the world a better place. Dear God, thank you so much for your Son. Please help us to live out our beliefs. 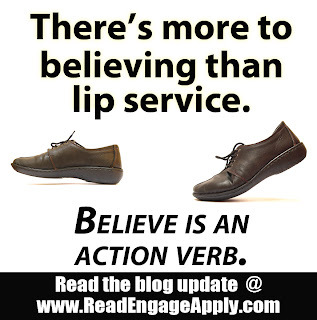 Please help us to make believe an action verb. Amen.